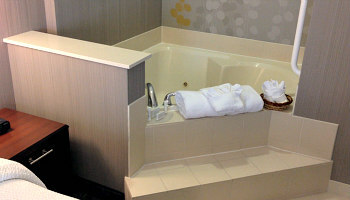 Here's a feature on a very nice hotel hot tub suite we had the privilege of enjoying for 2 nights in Colorado Springs, Colorado. 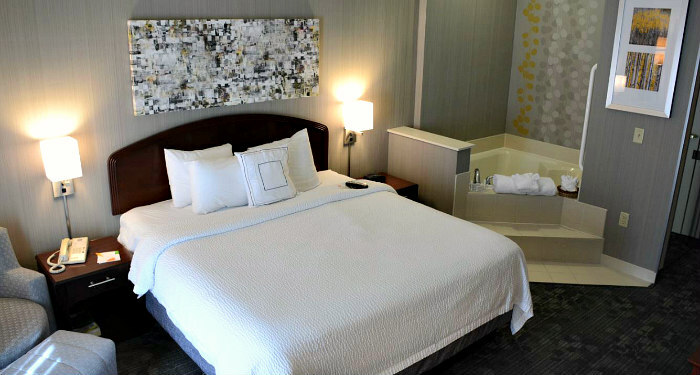 It's the Courtyard by Marriott Colorado Springs South, and if you're looking to book a hotel suite with a spacious 2-person JACUZZI® tub near the Rocky Mountains in Central Colorado, this is a fine choice. 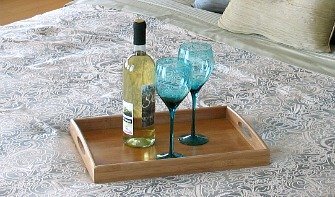 What Other Couples Like About The Courtyard Colorado Springs South: indoor pool and hot tub - Well lit parking lot - comfortable beds - good location - affordable rates - friendly and considerate staff. 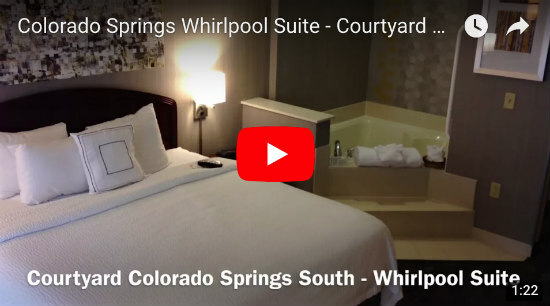 2018 Rating* for Colorado Springs, Colorado Whirlpool Suites: 80% - Very Good. 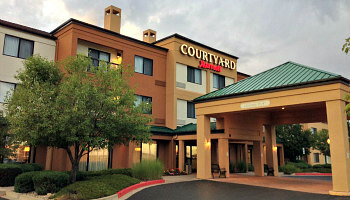 Where is the Courtyard Colorado Springs South Located? 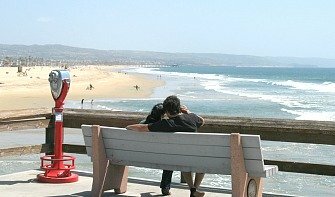 What is the Hotel Close to? 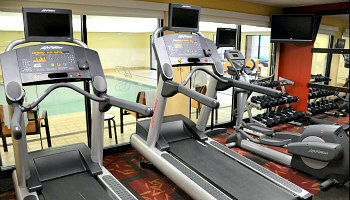 It's location is on the south side of the city, and it’s about 4 miles from Downtown Colorado Springs. It's just a short drive to Peterson Air Force Base, Pikes Peak and Seven Mountain Zoo. 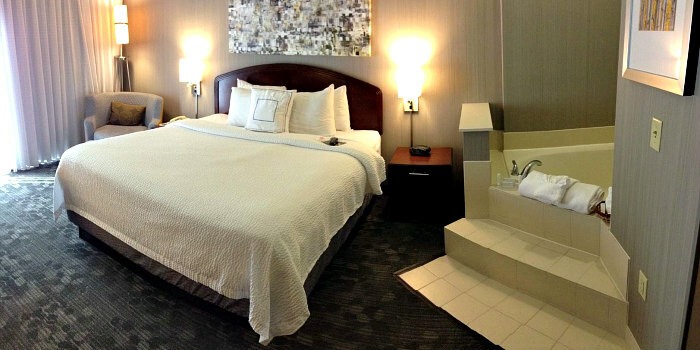 Can You Pay With Marriott Points Here? 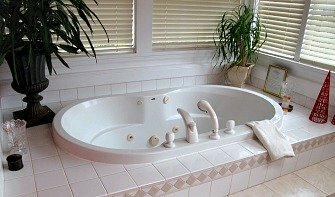 How Big is the JACUZZI® Tub? Big enough for 2 people. 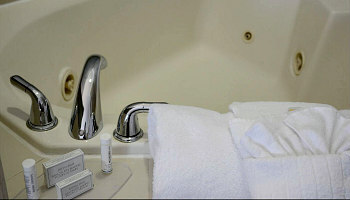 It's located in the room (not in the bathroom), in the corner near the bed. We enjoyed our stay here and did not notice any noise problems. Free, and lots of spaces. 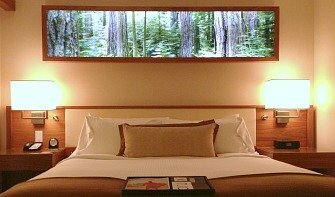 Does This Marriott Hotel Have a Restaurant? 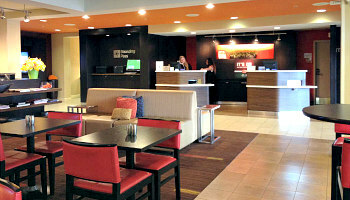 Yes, Marriott's Bistro restaurant, with both breakfast and dinner choices, as well as Starbucks coffee available.